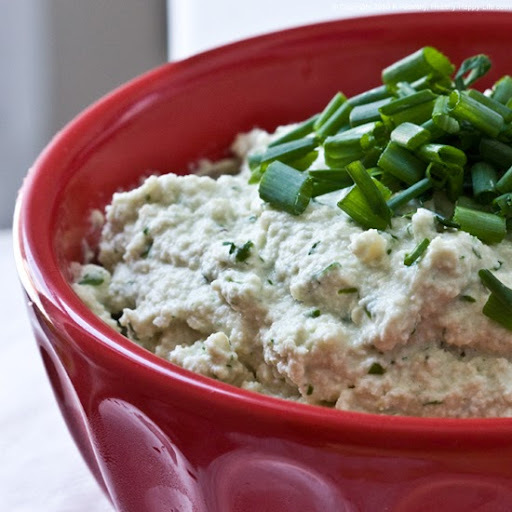 Chive Ricotta Nut Cheese. Spread it, Dip it, Bake it. Soaking Nuts is a basic process where you soak raw nuts in a bowl of water for a few hours or overnight. I like to add a grind of sea salt to my soak. The process is similar to the idea of soaking beans. The main difference is that when you soak beans, you usually end up cooking them. 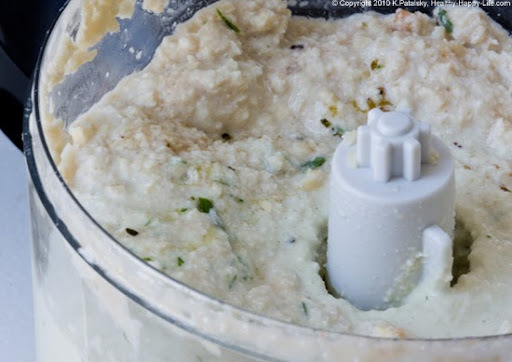 With raw soaked nuts it is easy to simply grind them in a food processor with a wide variety of flavoring ingredients to create unique nut combos for nut cheese, nut spreads, dips, desserts and apparently, a really awesome ricotta cheese substitute. Lemon/Basil: add juice from one lemon and a handful of fresh basil. Garlic too. Roasted Garlic: add a handful of sweet roasted garlic cloves soaked in a bit of EVOO. Thyme and Citrus: Grind some orange zest and crush fresh or dried thyme into your ricotta. Black and Blue: Add a few drizzles of a thick balsamic, throw in a few grinds of mixed color peppercorns and maybe even some sweet fresh or dried figs. Spicy: Process in a fresh jalapeno, horseradish or roasted spicy pepper. Savory Olive Mushroom: Add in black olives and raw button mushrooms. 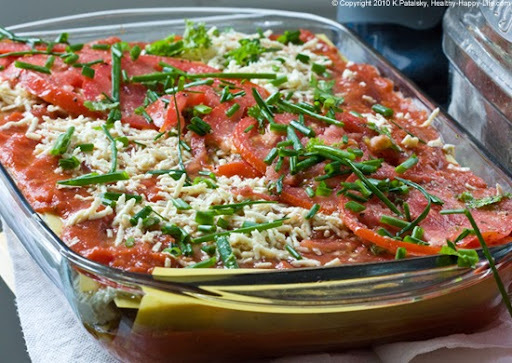 Ultra Cheesy: Add in some Daiya or another brand of vegan cheese - this is a great idea if you plan on baking your ricotta into a pasta dish. Ultra cheesy flavor will ensue. Sweet Peach: Fold in chopped fresh peaches and maple syrup for a sweet twist on this ricotta dip. Strawberry Cream: Fold in maple syrup and fresh strawberries and top with fresh soy cream. Cinnamon and dessert wafers for garnish. 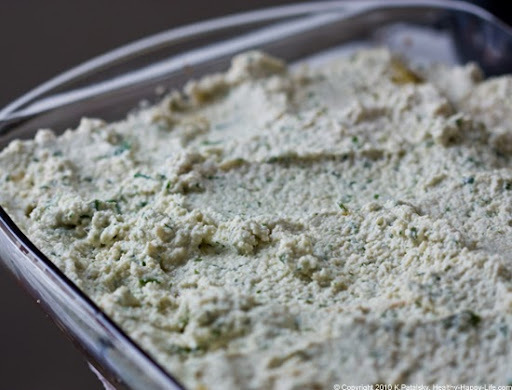 Vegan Chive Ricotta Cashew Nut "Cheese"
note on salt: If you are adding this ricotta to a recipe with salty ingredients (like a tomato-sauced lasagna) go easy on the salt. 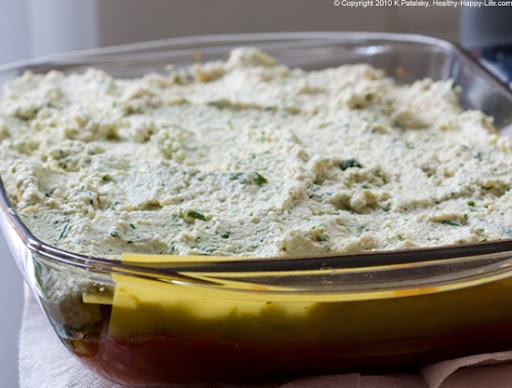 The ricotta should add a texture/taste component to the dish and not a salty one. 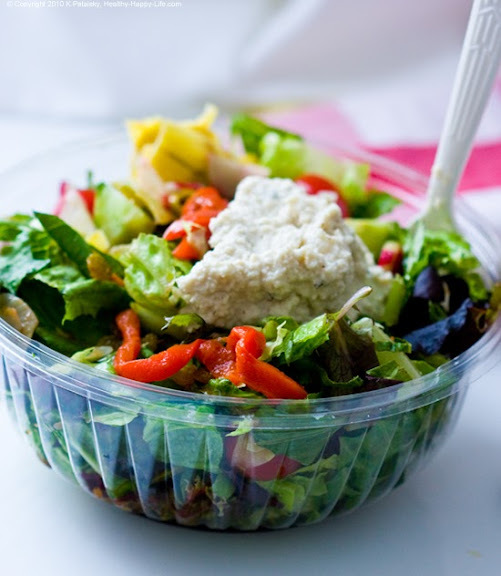 However, if you are using the ricotta raw on salads, as a dip or dessert - you may want to increase the salt and even sweetener content a tad to suite your tastes. 1. 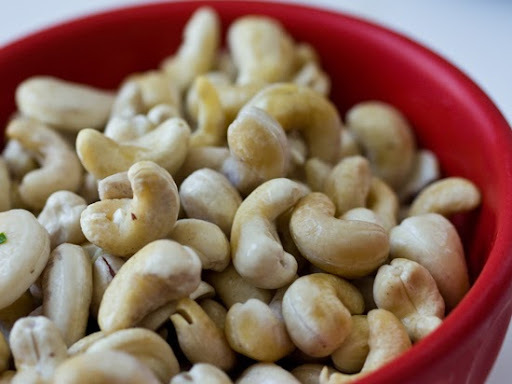 Add raw cashews to a big bowl of water, add a pinch of salt. Soak in fridge overnight or at least for about 2-4 hours. More soaking, smoother texture. 2. 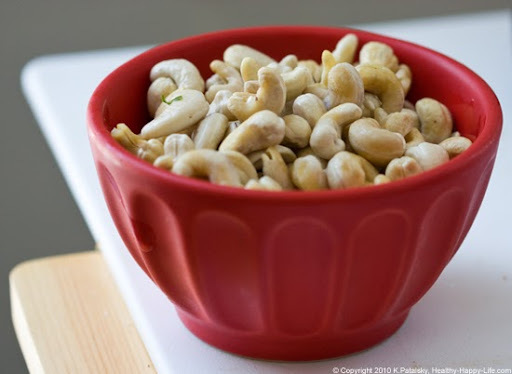 Drain soaked cashews. 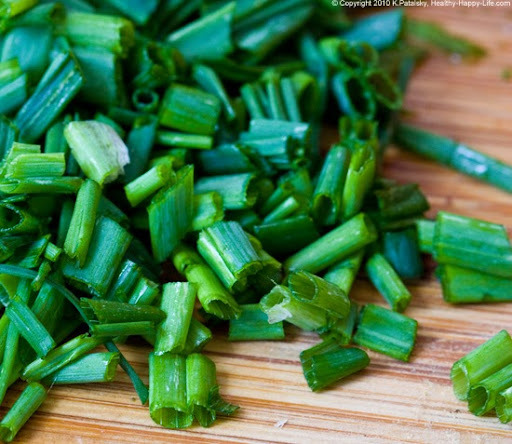 Add them to a food processor. 3. Add in the vinegar or lemon juice, soy milk or creamer, agave and EOO. 4. Blend on high until smooth. 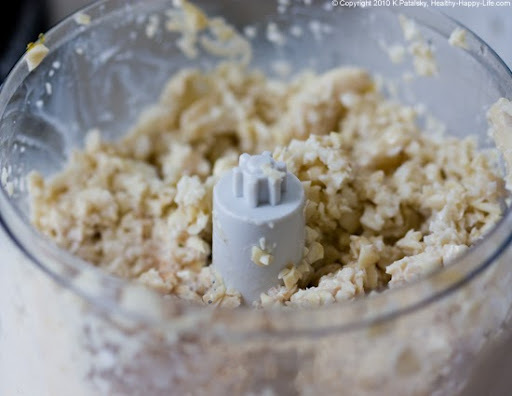 This may take a few minutes depending on the strength of your food processor. 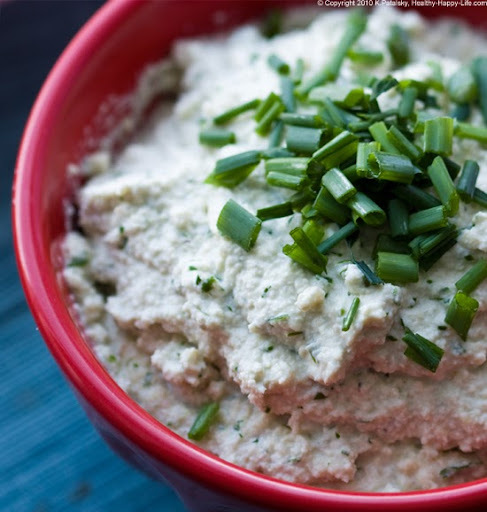 If your ricotta is looking too dry, add more soy milk and/or more EVOO. I used soy creamer which made my ricotta nice and creamy. 5. Add in the chives, pepper, garlic and salt. Pulse until blended in. Add in the optional vegenaise here. 6. 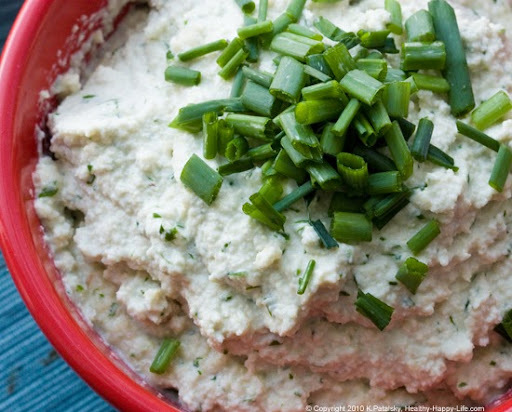 Transfer your ricotta to a serving bowl and sprinkle with fresh chopped chives and black pepper. 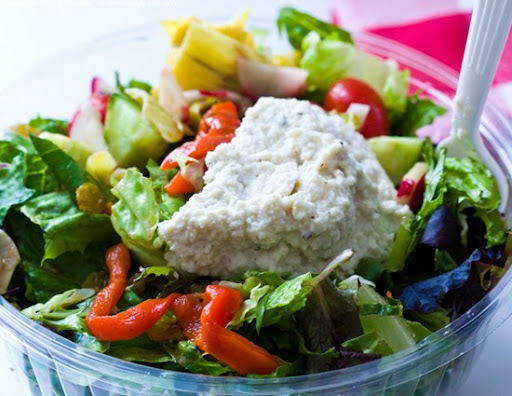 Use as a dip, dollop on top of salads or add to recipes like crepes and lasagna.